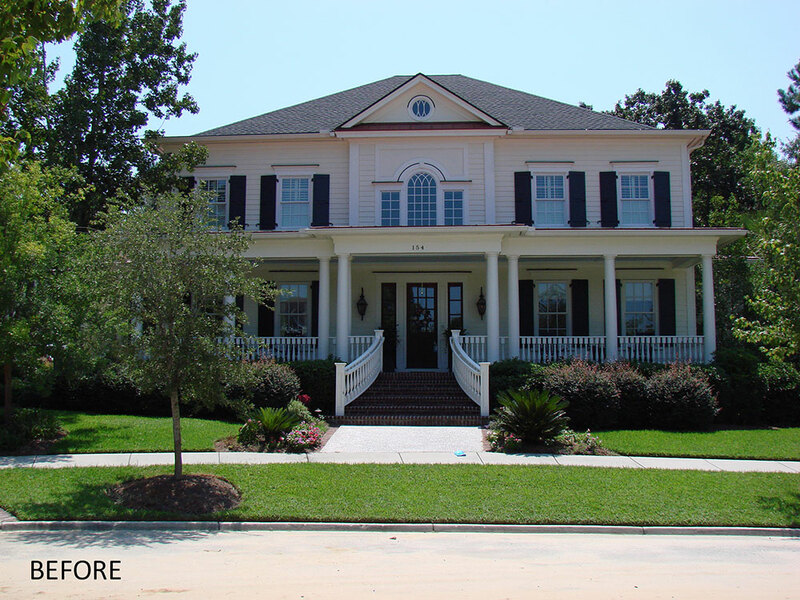 This renovation on Daniel Island included small redesigns of the interior of the home, but the key feature of the remodel was incorporating an attached garage addition to the main house with updates to the landscaping at the new tiered front porch and down the length of the home. Located off the master suite, the three car garage offers another point of entry directly into the main house and also into the master suite. 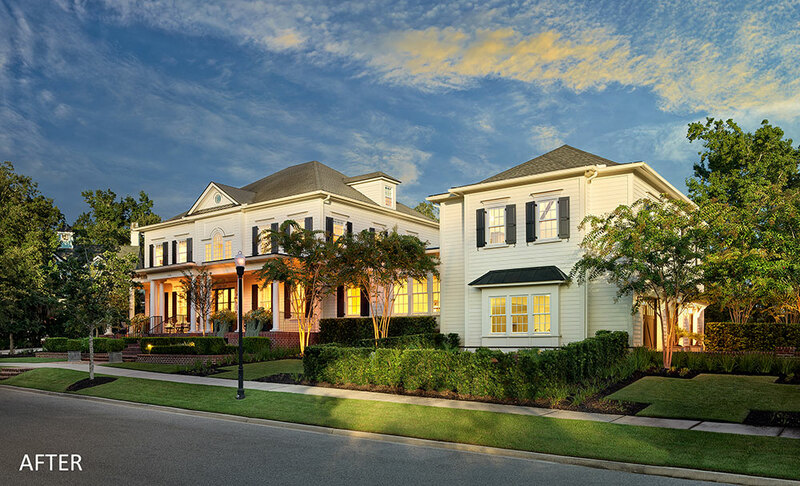 The two-story garage features architectural elements that match the existing home and a one-story windowed hyphen that forms the connection between the two main masses of the home. The vaulted second level of the garage serves as the entertainment space, complete with a kitchenette, a full bath, and golf simulator.